Schedule a FREE Website Analysis Today! Have Someone Contact Me ASAP! Search Engine Optimization (SEO) & Web Design are some of the most important tools every business needs in order to keep up with our constantly changing trending markets. King Consulting Group is here to help make sure that your online presence is as successful as it can be. We are a Houston digital marketing service that serves clients across Texas and the United States. We work with you to optimize your website by utilizing online marketing techniques to help get your company ranked for the keywords specific to your business and location with search engines. In turn this increases traffic to your site and leads to a call for your products or services. If you want to grow your business this year, then your website needs to attract customers so your services can be found. If you do not have the proper techniques in place, your website might as well not exist. Today there is so much competition online that it makes it even more important than ever to make sure that your site is performing properly and ranking on the first page of Google. What Gets Your Site Ranked? KCG will perform extensive keyword research for your company and find exactly what people search for when seeking you out. We then write keyword-rich, authoritative content for your site based upon that research as part of our website optimization process. In addition, we also optimize your images on your website for both size and keywords. 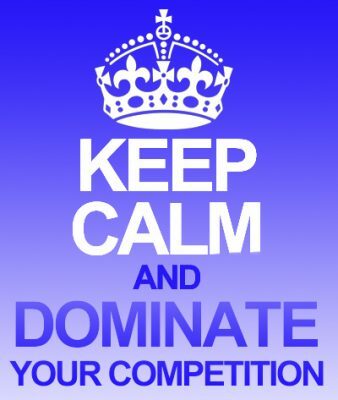 Based on data that we collect, we will also study your competition, find where they are lacking and make sure that you are ahead of them in every aspect of your site making you the dominate business in your area. Our expertise in responsive web design will insure that your website is easily readable on any platform from desktop to mobile (i.e. tablets, smartphones). Gone are the days when you could get away with a simple HTML website. No, the web has gotten much more complex and integrated. If your website looks like something from the stone age and is not properly optimized for your clients to search for you and find you, guess what? The phone won’t ring! King Consulting Group’s job is to take over that process for you, leaving you time to actually run your business and receive those generated lead calls that will become a sale. Our main focus is on service based businesses that thrive on lead generation for their bread and butter. Service based companies would include those where you would need a service performed at your home or place of business. A person looking for a particular service might use their smartphone to seek you out. 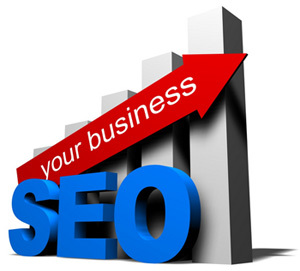 We provide the tools and the SEO marketing to see that they can reach you ASAP connecting your new potential customer to you the business owner. 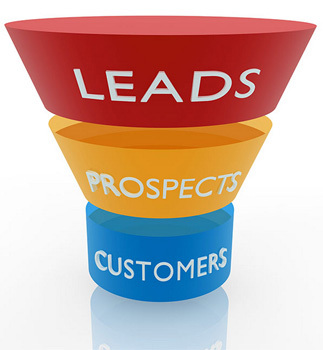 We understand that you rely upon leads and referrals to stay in business. We want to deliver that traffic to your site and keep your phone ringing. As long as that phone rings and you close a sale to a customer, the more your business can grow. So you can see that clearly Americans alone are on their phones and tablets looking for businesses like yours. If your website is not responsive to those platforms and easy to get the information they are seeking, you lose. Simple as that. To add insult to injury, Google announced early in 2016 that the new algorithm they created will be looking to see if your site is up to date with the new parameters set by them to see the responsiveness of your site. If it fails that test, you drop on the search engine’s listing because you failed to keep up with the times. In a nutshell, it makes the viewing experience of your website on mobile technology easy and pleasant for the potential viewer. So, as you can see, having your website optimized for search engines by being responsive is important if you want to be seen by the world’s largest authority on search engines. Here is a subject that eludes most business owners when they just throw up a website and expect results: Search Engine Optimization (SEO). What your page says and how it is written is just as important as being responsive today. You’ve seen websites where you go to the URL and the site has a couple of brief words about the company and then a bunch of pictures. That simply doesn’t cut it anymore. Google’s AI (Artificial Intelligence) reads your site as well and learns about your business based on the criteria you have within your site. Keyword placement and proper sentence structure are all seen and scrutinized by search engines. Keyword rich organic content is the key to a fully optimized website. Our writers will create this content for you and make sure that the keywords you wish to be found for exist in your content for each page. 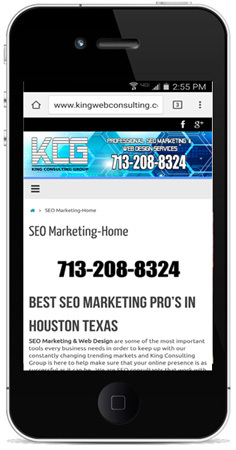 As Houston’s leading SEO company, we not only provide things like Google SEO, but we also provide website SEO marketing and if you are using WordPress as your website platform, we perform WordPress SEO optimization using state-of-the-art tools and techniques to see that you outperform your competitors. Since search engines are not actual people, so they can’t see your pictures, nor do they care. They want to see what your site is about and that determines how you are listed on them. The more information you give will help the search engines learn about you and place you in their directories. As an added bonus, it also informs your potential customer about you and can lead to that valuable phone call which your company thrives on to stay in business. Having photos on your site is helpful to your site overall. People like “eye candy” and it helps them relate your site to their needs when making a decision on whether to contact you or not. It helps to tell the story. There is a little more to it than that, and that is where King Consulting Group comes in. We will help to optimize your photos and make sure the proper criteria are embedded in them so search engines will notice them and optimize your search listing. King Consulting Group are experts at assisting small business owners with getting their websites optimized for the web and making the website work for YOU! We utilize WordPress which is used by over 100 million web users around the world. 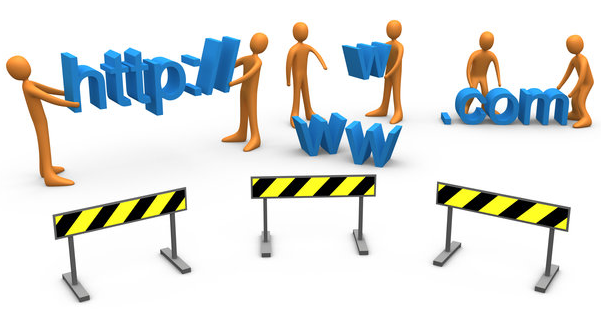 It is a reliable platform for a great website! We will consult with you and see what aspects of your website are most important to you and make sure those elements are implemented in our design. Marketing your site is our specialty. With many options available to you, we will go over each option and help you to choose what is best for you and your budget. KCG will assist you in setting up all your social media accounts including Facebook, Twitter, Instagram, Pinterest, Google My Business, Google + and Youtube. Ads on Google Adwords or Facebook Ads are the quickest and most effective way to get leads to your site and sales in your pocket. We will consult with you to find the best platform for your ads. Unlike some "other guys" claiming to care about your success, you will find a us to be much more attentive as it is our goal to be a lifelong partner in your company's success. If you own a service based business, you know that your company relies on leads from multiple sources be it word-of-mouth, social media and the web. You need that phone to ring to make a sale and get your product or service out there. Roofers, plumbers, contractors, home services, computer and phone repair, these are all service based companies that if the phone isn’t ringing, you are losing business and money, and most likely to your competition! Our job is to reverse this and get you back on track with a long term strategy for your business web site. King Consulting Group provides search engine optimization, Lead Generation and responsive website design for your service based business. We help to get your website listed in the highest spots on search engines such as Google. By using our proven techniques we increase traffic to your website and increase sales to your business. We do this through various ways such as on-page optimization (meaning good content and keywords organically throughout your pages), off-page optimization (backlink building) and by running online ads either through Google Adwords or Facebook Ad campaigns. By utilizing every available tool, your website’s ranking and preferred targeted customer is able to easily find you so you can make the sale. We don’t waste your time with garbage that will not benefit your company. We don’t pressure you into our services. We know we are effective and our results sell themselves. We don’t confuse you with technical terms. We don’t make it difficult for you to contact us. We’re here for you! Did you come up on the first page? If so, Excellent! Maybe you don’t need us. Then again, if your phone isn’t ringing daily with leads that convert to sales for your business, there may be an issue with your site. If either one of these reasons exist then…ahem…you NEED US! The majority of people in our “I want it now” society aren’t going to bother looking through pages and pages of Google listings to seek you out. They want it now and they want it fast. If you aren’t showing up guess what? Your competitor who did it right gets the sale and what “would” have been YOUR customer. Bummer, right? So to beat your competition our services are an invaluable tool to your business success online. Fast Loading site on mobile and desktop. Good Content that tells the story easily. Call to Action – Make that phone ring. 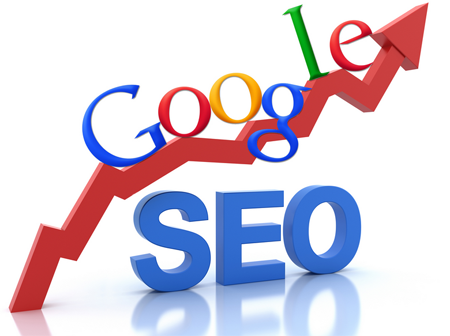 Proper, effective SEO marketing to insure you are ranking for what people are actually seeking. King Consulting Group’s web optimization services your website presence by utilizing every tool available in SEO Marketing (at least the ones that matter) to see you rise above your competition and win in the search engine arena. We utilize Facebook, Facebook Marketing, Google, Google +, Google AdWords along with many other search engines and if applicable, other forms of social media to make sure you are “King of the Web”. The bottom line is we get actual results you can see. Our clients love the work we have performed for them and the assistance we provided to accelerate their business to a higher success rate. We service clients Nationwide. We have clients from New York to Texas. Nice thing about the internet, we can help you out where ever you are! Do your business a favor and call or contact us today and see what we can do for you! My company hired Scott's team to build our website which looked horrible at the time. I had 5 other so-called SEO guys working on my company site with next to no results. Scott's team over at King Consulting Group came in and immediately showed us where our site was lacking and then went right to work on it. Within a week or so the site was done and looked 100 times better! We are very happy that we went with KCG and trusted their suggestions to make our site better. Fast forward 8 months, we are now on page one of google and the calls are coming in. I don't understand the specifics of what they did, but whatever it was it worked. Scott and his team are always very easy to contact and discuss our goals for our website. I highly recommend them if you want to see real results. I can't believe it took this long to find someone who actually cared about our business and made it better! We needed a website for our company. We rebuild and restore old hot rods. King Consulting did an awesome job and design exactly what we needed to show our work to our customers. Scott stays in touch with us regularly and always suggests new ways to improve our site. I highly recommend him if you are looking for a great functional website. Thank you. King Web Consulting does amazing things. They actually made it so that my website began to generate business. For more than four years it just sat there, and it was a decent brochure to send prospective clients to. KWB fixed my site up, and made it rank. Within 2 months, I started getting calls from the website and my business increased. I have already started thinking about another business that I want to start because of how well they did with the digital marketing. Thanks Scott!